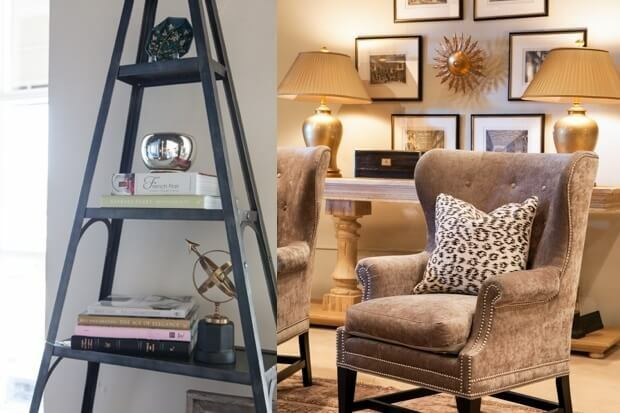 Win a $5,000 Shopping Spree at Bradford's Interiors! The most wonderful time of the year just became that much better! We are so thrilled that one StyleBlueprint reader is going to win this amazing prize! Bradford’s has been a part of Nashville’s retail landscape since 1889. Customers always enjoy the free 7 day trial period for in-stock furniture. Bradford’s has a wide range of pricing to fit any customer’s budget, whether they are looking for custom upholstery or gorgeous antiques, some over 200 years old. The showroom is filled with antiques from annual buying trips to England and France. Bradford’s employs accomplished and friendly interior designers who can help you pick out any furniture, accessories, or wallpapers. As always, this service comes at no additional charge. Bradford’s has the largest fabric and wallpaper sample library in Tennessee. It’s so fun to play in and even more fun when you have a trained interior designer to help you sort through and find your best options! Their huge rug gallery includes brand new and pre-owned rugs. When we say huge, believe us. You choose how to spend the $5,000: toward one incredible piece or on many pieces to fill lots of needs. The $5000 shopping spree can be used to pay toward existing Bradford’s house account tab. As Bradford’s owns Obelisk, all of their fabulous accessories and gifts may also be considered by the fortunate prize winner! Obelisk has some really beautiful dishware, linens, giftware and jewelry.